A tile backsplash that looks like beautifully-aged natural hardwood is a perfect way to add character and a rustic, yet refined statement to your design. 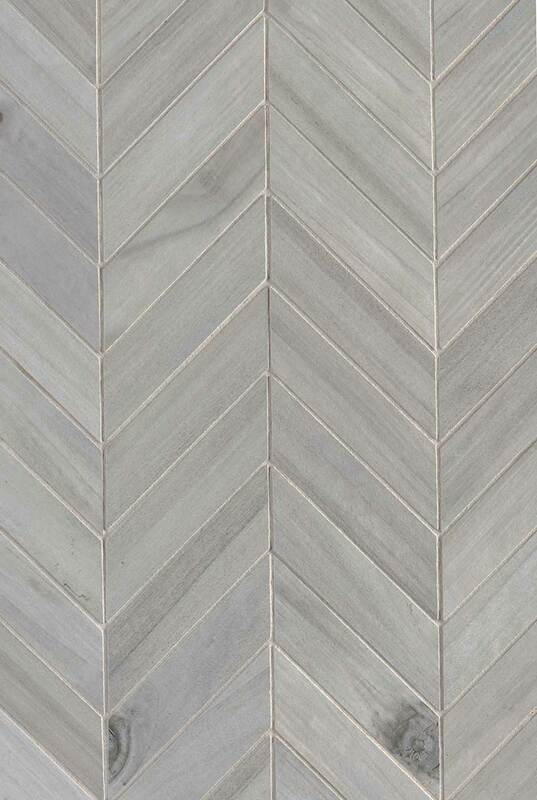 Our Havenwood Platinum Chevron backsplash design takes the look of hardwood, crafts it from porcelain, and composes it in an elegant pattern. It complements a wide range of design styles and partners beautifully with slabs and tiles in our inventory.